President Andrew Tursic (right) and Membership Coordinator Joseph Wheatley (left) show their cardinal spirit in the new office. LOUISVILLE, KY- The Student Cycling Coalition of the University of Louisville continues to move forward in its preparations for the newly formed UofL Cycling Team. On Friday, January 10th, President Andrew Tursic signed a one semester lease on an office on the third floor of West Hall. Located on the Belknap Campus, alongside 3rd Street and neighboring Greek Row, the building was decommissioned from its status as a dormitory in the fall of 2013 and hosts the University’s Housing Department. When the building was officially closed to students in 2013, the third floor rooms were made available to Registered Student Organizations. The SCC took advantage of the opportunity and President Andrew Tursic, Vice-President Abner Miralda, and Membership Coordinator Joseph Wheatley picked up the keys for the office. 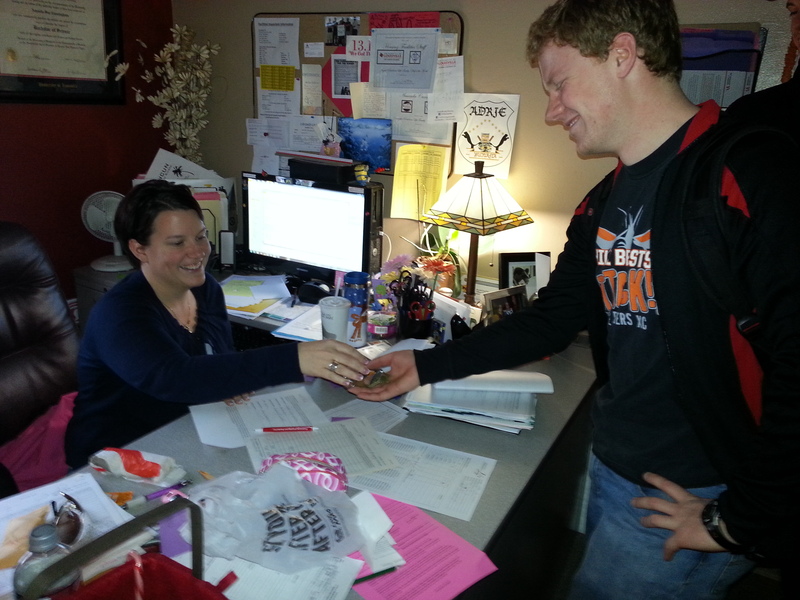 Housing representative Amanda Cunningham gives President Andrew Tursic the keys to WH306. 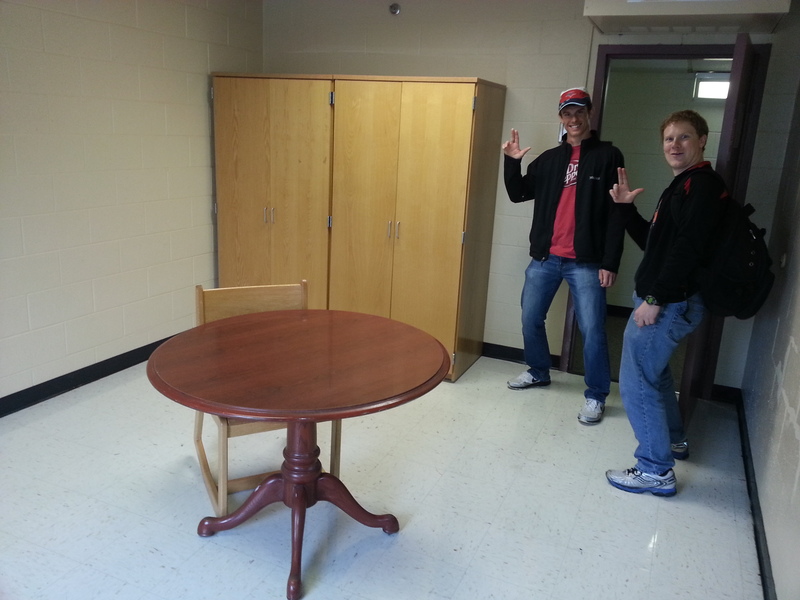 West Hall Room 306 will function as a hybrid space. It will be an office, a storage facility for team equipment, and it will be a spin room. The SCC is looking to fill the team roster for the cycling team. A meeting will be held on Thursday, January 16 at 5 pm in SAC w303. Dinner will be provided.